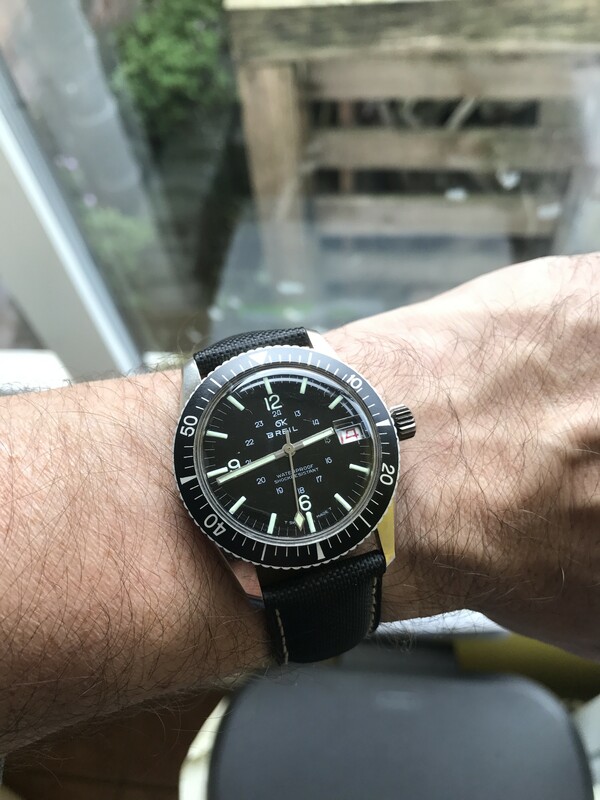 36mm diver - too small or perfectly formed? 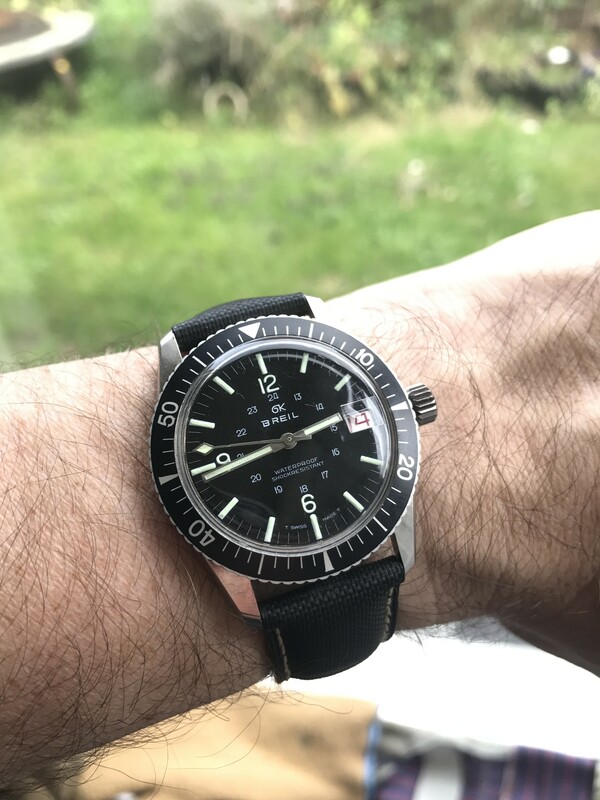 Thread: 36mm diver - too small or perfectly formed? I’ve a few 36mm watches including a vintage Tatton, a PRS-25 and a PRS-29AM and I love them all. 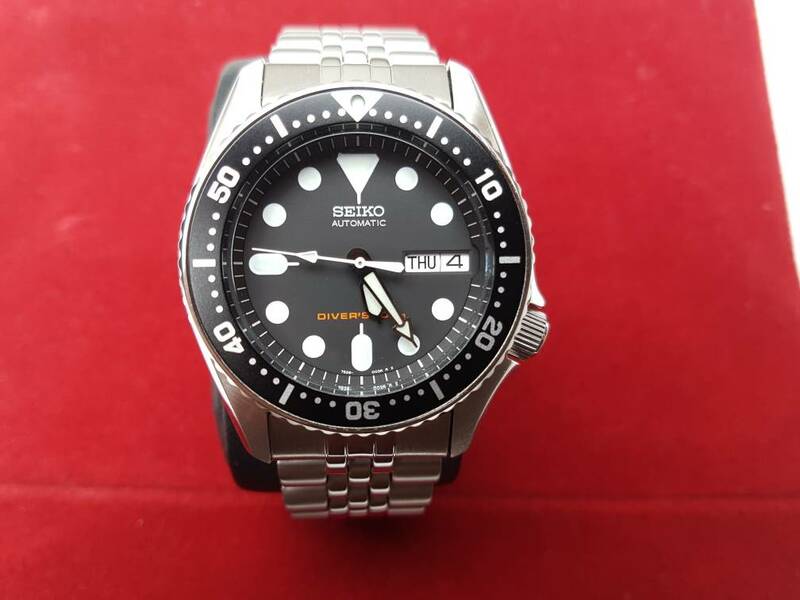 I’m thinking about getting a Seiko SKX013K2 diver but am wary of having a smaller diver. Last edited by stoneyloon; 9th February 2019 at 11:12. 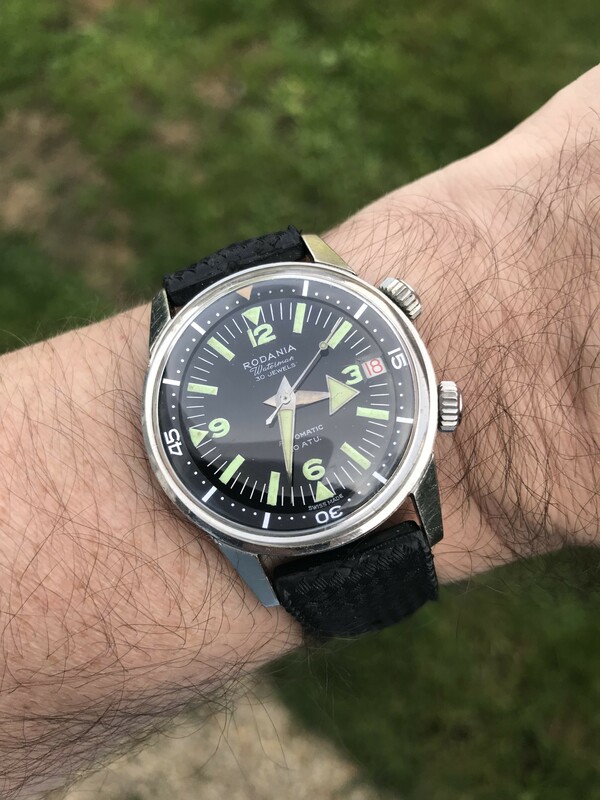 I'm a fan of sensible sized watches but I have to say, a 36mm diver with a thick sports bezel would likely be too small for me because the sports bezel really shrinks the dial. 35/36mm is more than big enough for an all dial or narrow bezel design. 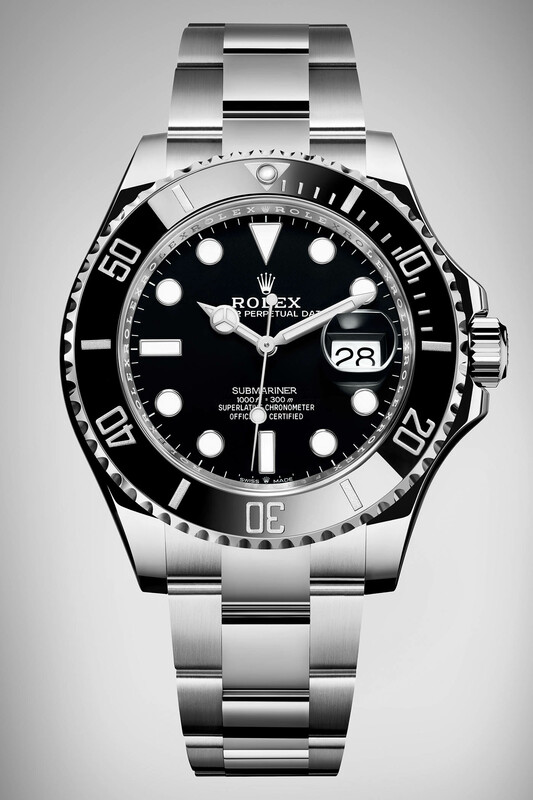 The Rolex OP, Explorer and DJ models for instance are perfect in 36mm but in a diver it's too small. 38mm to 40mm is better in such a sports watch imo. Is there anywhere you can try one on without buying? 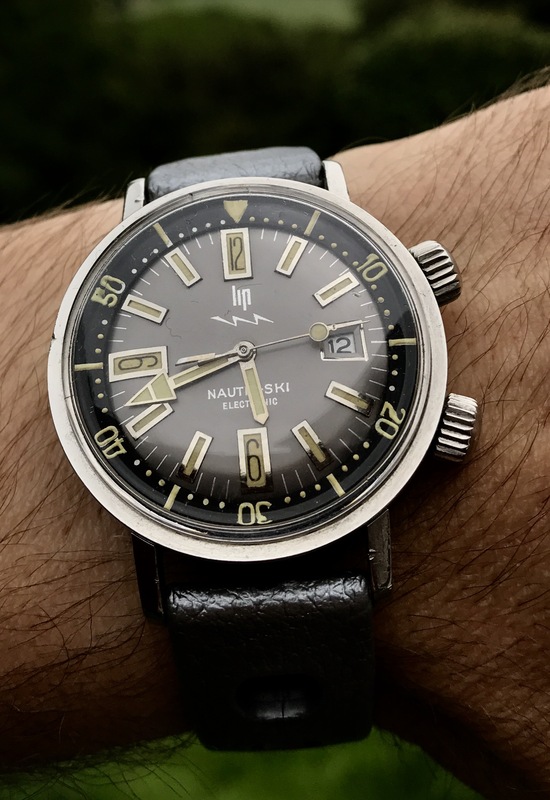 Dive watches are typically larger, but if youre more comfortable with a smaller watch but want the diver asthetic, go for it. 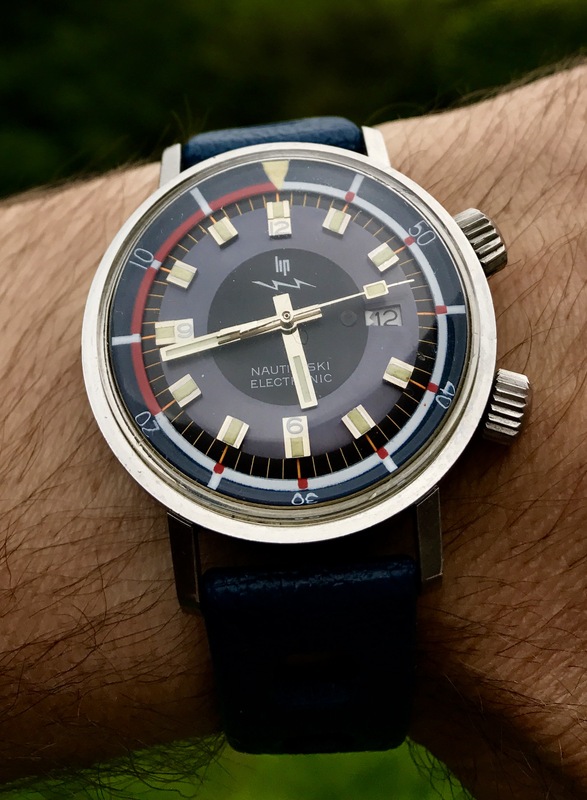 I'll Hazzard a guess that the watch won't be used in many dives anyway! Last edited by Wilson_smyth; 10th February 2019 at 06:48. As a Sorts watch, 40mm. Forget wrist size or watch size. What size is your imagination? That helps think of newer, fresher subjects and also opens up possibilities of trying different sizes and working out what works best for you without letting others dictate or judge. 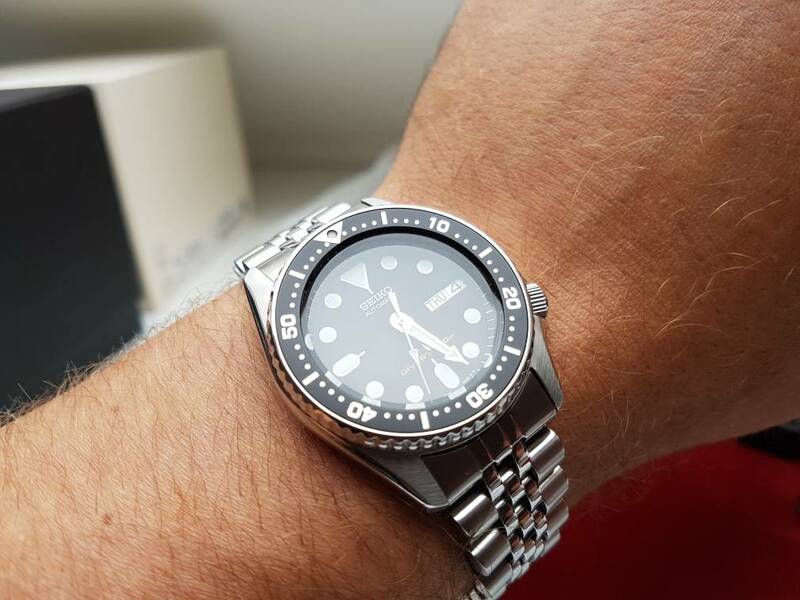 The SKX013 is too tall for it's width. Try the 007 which is a couple of mm wider. The 007 wears small due to the lug design and is better balanced, in my opinion anyway. I have 17.5cm wrists and really like 36mm size, but I also am pretty happy to go big. 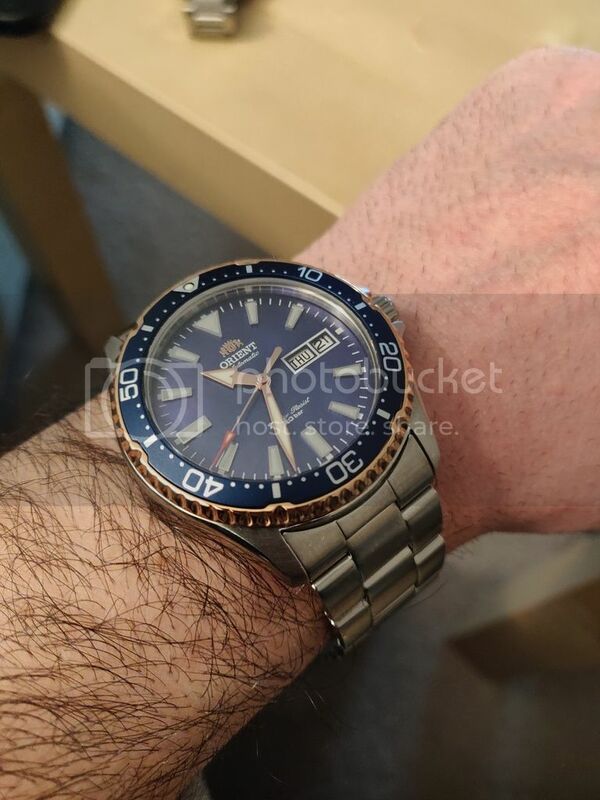 For a diver in your price range, I picked up an Orient Mako III (ref RA-AA0007A09B) I've been really happy with. It's 42mm and 13mm thick, but wears a lot smaller I think. It is 46.7mm lug to lug. 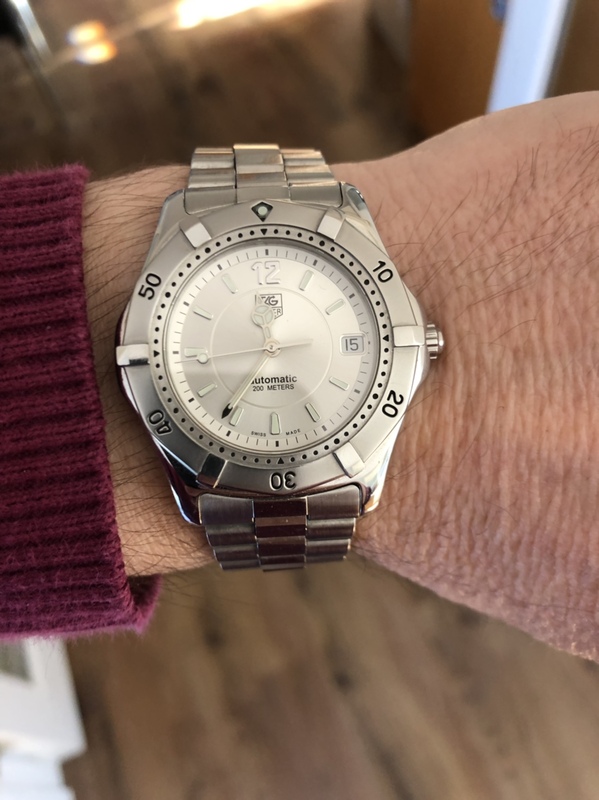 Here is a comparison against my Everest 36mm. Alternatively if you can afford a budget of around £1500 then likes of Oris and Rado and many others offer a smaller size. Rado have a really nice collab with the Rake I have been mulling over as it is 37.3mm. I may well take the plunge soon! When I was originally looking at a quartz SMP I bought the mid size at 36mm. After a few months wearingit I realised that it was just too small to work as a diver for me and gave it to my wife. It was replaced with the full size SMP at 41mm and I think this suits me much better. 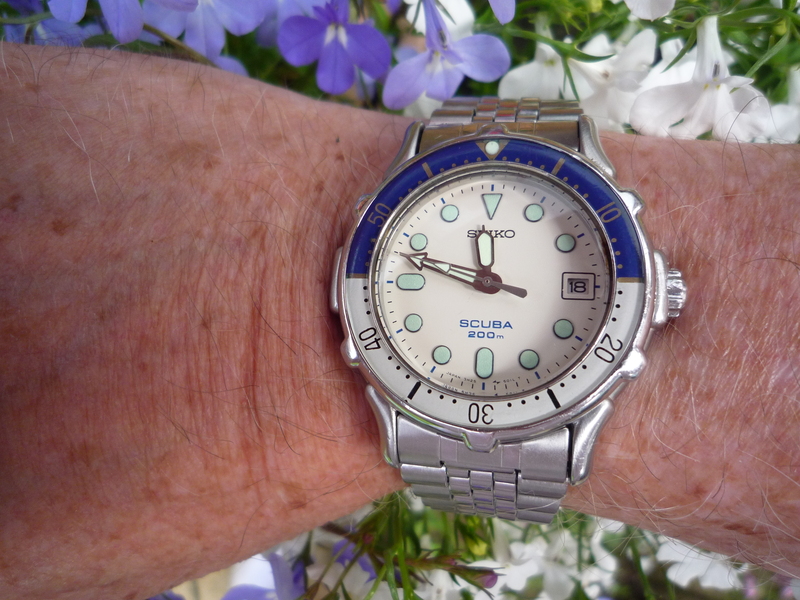 I much prefer 36mm for my daily wearer (non diver) though. Last edited by JeremyO; 9th February 2019 at 09:32. I’ve had 007’s and 009’s in the past and they’re 42mm+ if I remember correctly? I think an inbetweener like the PRS-82 may be better. To me, the 013 is perfectly formed. I still love it. A much nicer watch than the 007/009. The compact dimensions add to, rather than subtract from, long term contentment. 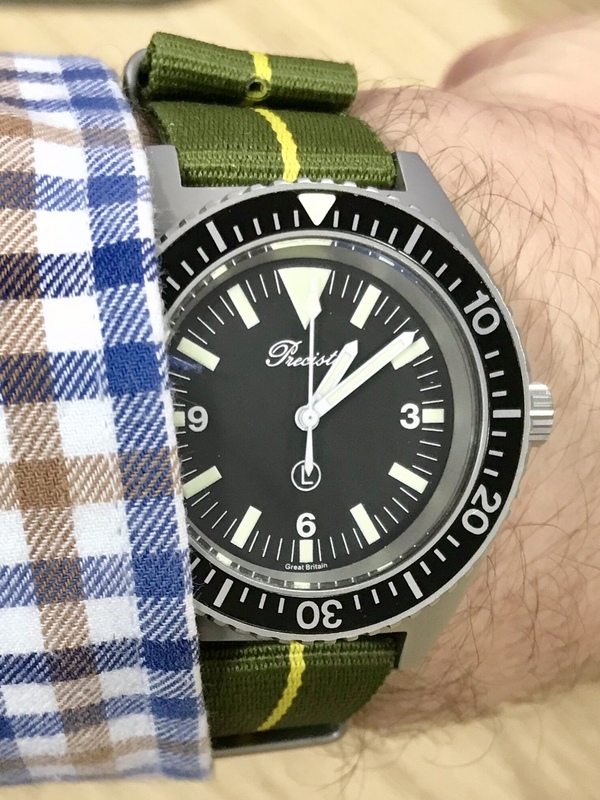 Is a 36mm diver too small? 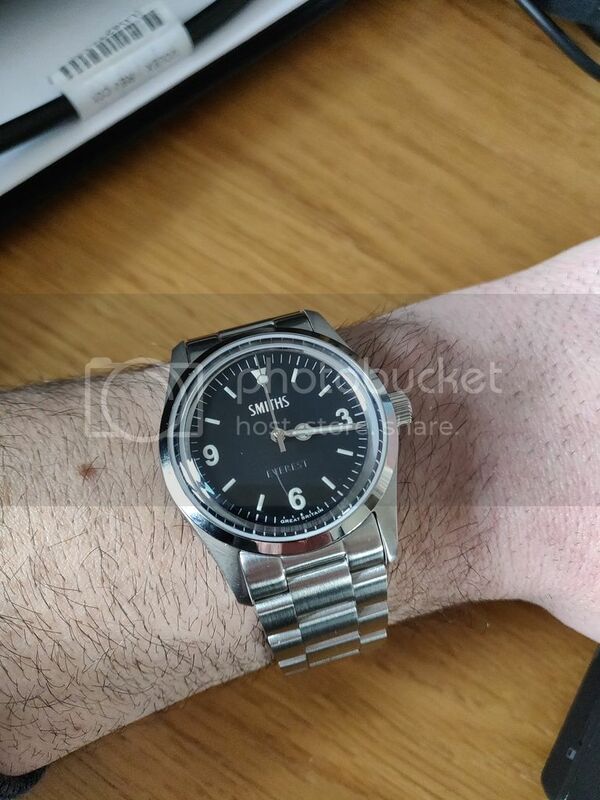 if a 36mm watch in general suites your wrist, I don't think so. Both the Breil and Rodania in the pics below are 36mm. 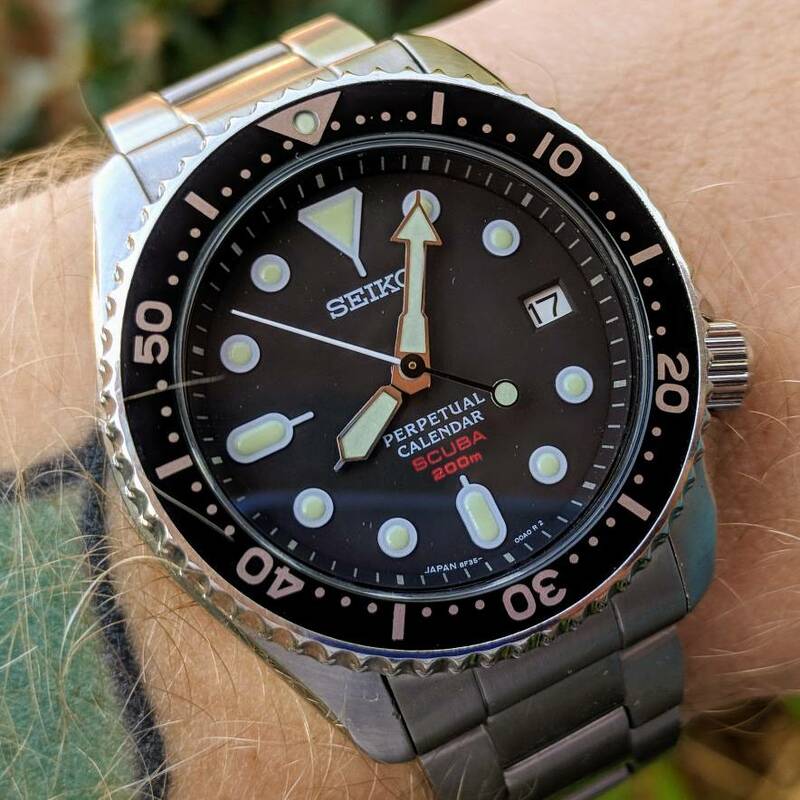 Is the SKX013 too small? Unlikely although I have read several opinions of it being top heavy. Last edited by andyd30; 9th February 2019 at 20:46. Those two are lovely. Those are the sort of designs I'd like to see reproduced. I do like an underglass Cyclops as per the Breil has, don't see that now, but I always thought it preferable to an external one. 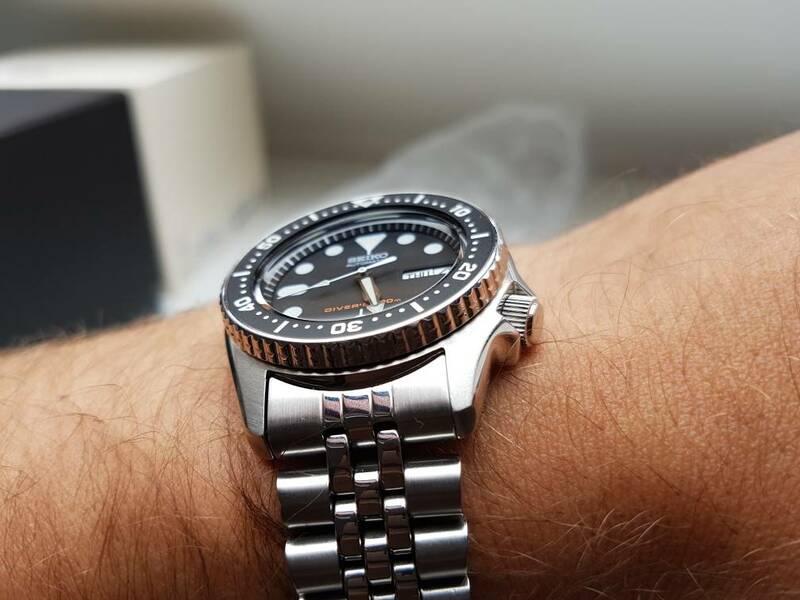 Nothing wrong with a 36mm diver IMO, if you like it buy it. I guess it depends on bezel and wrist but the ones in the pictures look lovely. 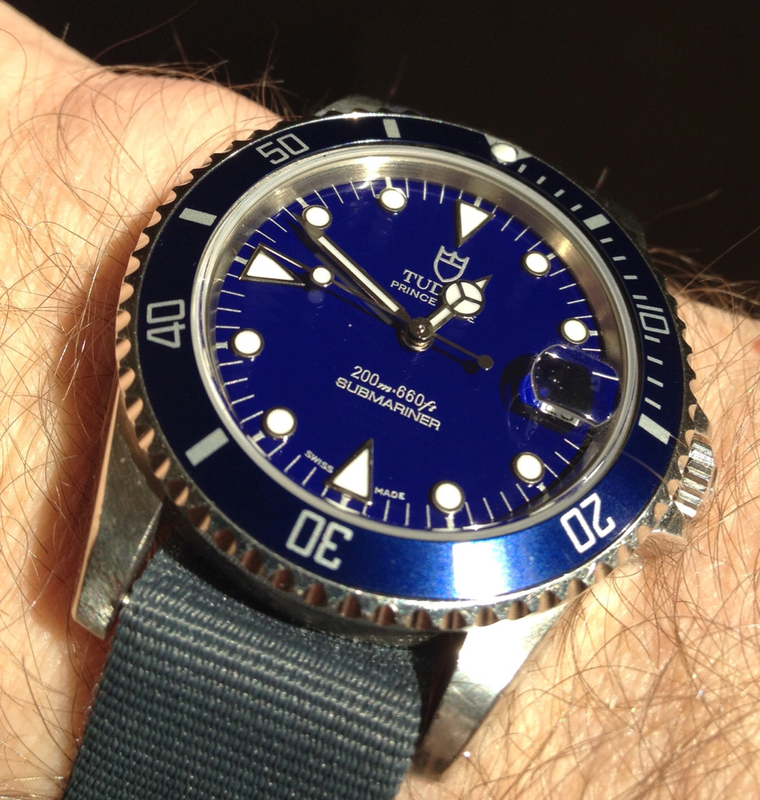 Inner bezel sounds like a good idea for 'small' diver watches. Agree. Both are quite fetching. 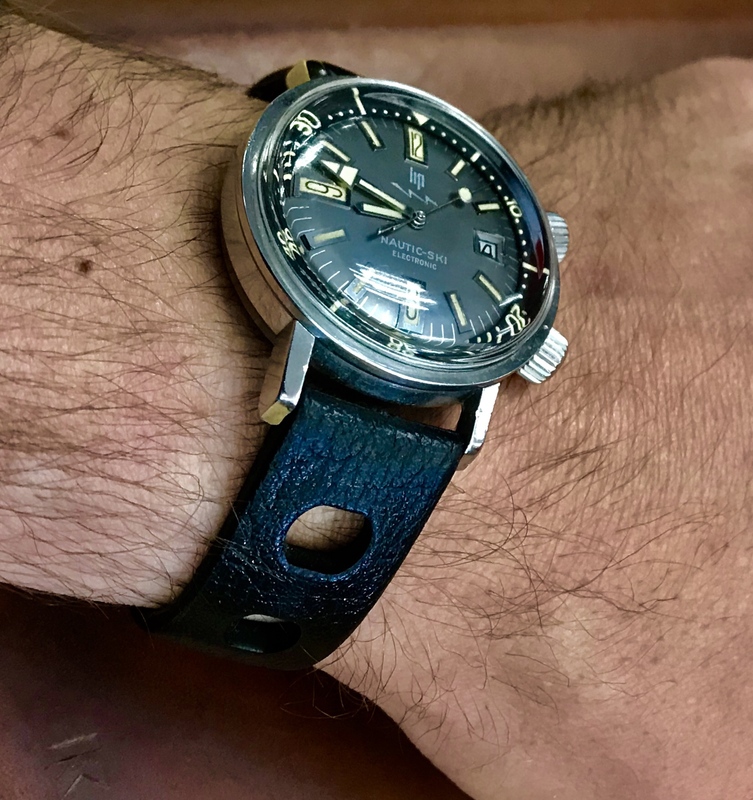 If it looks and feels good on the wrist, 36mm is fine. 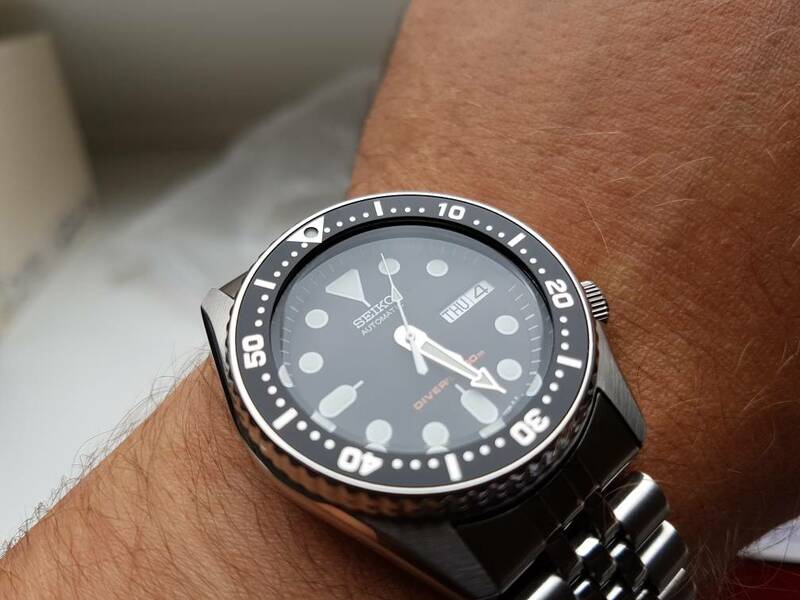 SKX013 on my 7" wrists. Actually loved the 36mm size but, as others have said, you d it a little too heavy. Works a treat for thin wrists.. 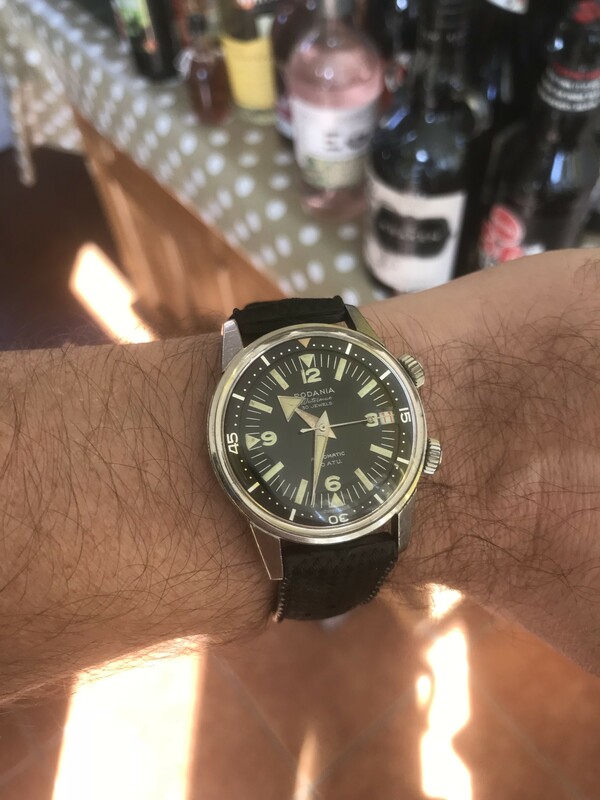 The Rado Captain Cook at 37mm is a beautiful little thing. Worth a look. A review of said Rado. It’s worth a look, don’t expect the usual black ceramic stuff from them. These are a lovely size at 38mm. I have one of the older generation w orange bezel and black wave dial. 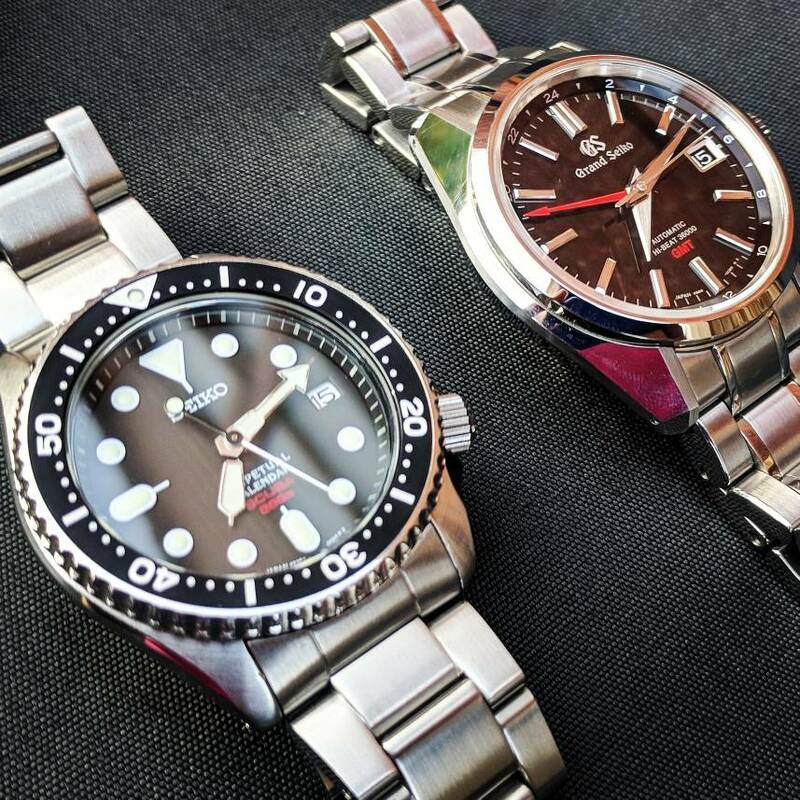 Don't wear as high as the Seiko. I have no connection with seller. wolfie: that nautic looks nice. Do you have a straight on dial photo? Small divers can work, though they are a bit out of fashion currently. I assume Lip are french? as the watches on ebay are all in france! 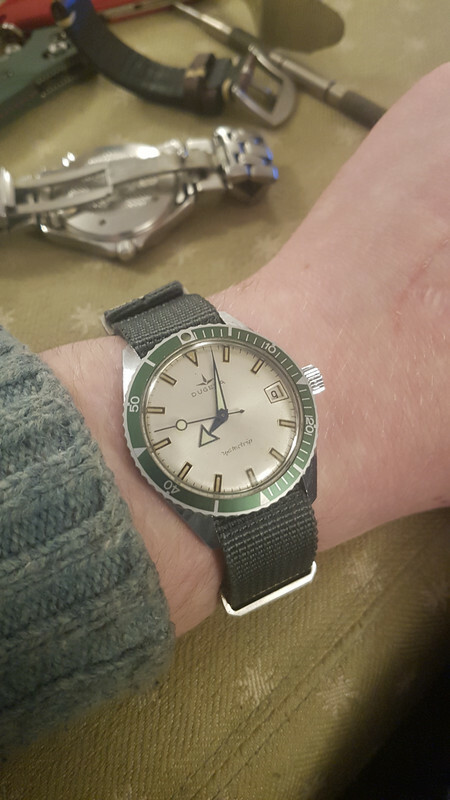 Yes i saw the re-issue but its a rhonda quartz and so will tick. Shame they didnt put a seiko mecaquartz in or even a bulova movement that sweeps. Talking from my perspective it is too small. It is not a dress piece, it is a sports/tool watch. 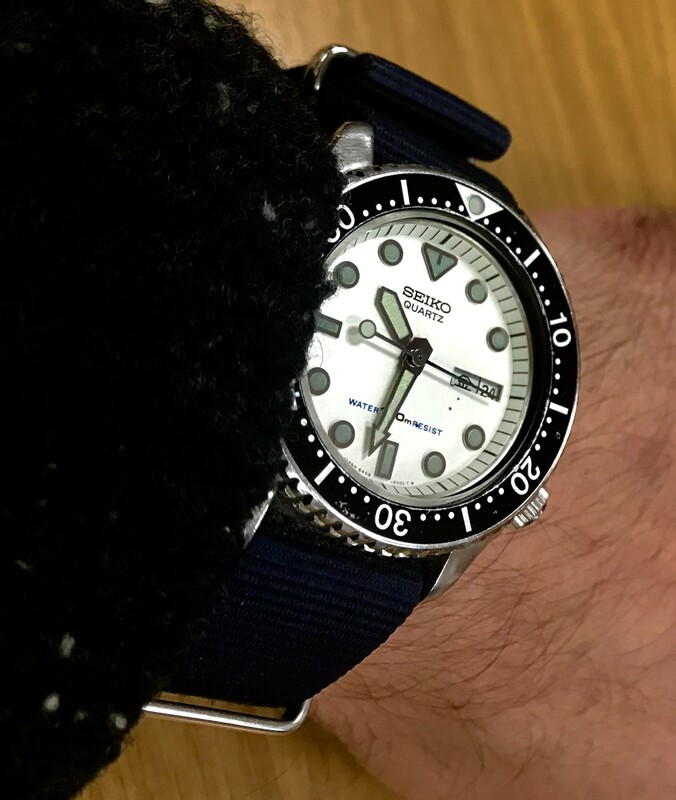 But if you like small dressy divers, go for it...someone likes their diesel brand tvs on the wrist, so it is just a matter what you like/dislike. Beat me to it. Good diameter just wish it wasn't as thick. They have released an automatic 38mm as well. After all that, I’ve went and bought a PRS-18A which is 39mm. Good choice, I've had a prs18a but small it ain't! It must be used as the PRS18 auto is discontinued. I saw one sell a few weeks ago for £250 iirc. Nice watch. Thanks for the information I will have to look out for it. Do you happen to know of a shop that is selling it or is it an ebay look out?